2K must be undecided about their favourite plasmid, because they’re blowing hot and cold over BioShock’s future. Ba-dum. Seriously, though: the publishers closed (or “wound down”) Irrational Games earlier this year, and gutted Bioshock backup studio 2K Marin a few months before that. But they’ve since said the next BioShock game will be made in Marin – and have now started posting wistful imagery on their Facebook page. What on Earth have they got in the pipeline? 2K’s British Twitter account yesterday posted an in-game advertisement for a club in the mall section of BioShock’s excellent Fort Frolic area. And then they did it again. 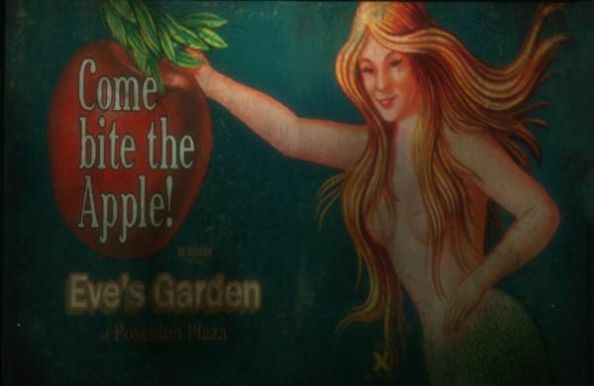 The art features Eve’s Garden, Rapture’s White Rhino equivalent, which featured both in the first game and in the second’s multiplayer. “#discuss”, wrote 2K in the first tweet. And then: “Oooo, what COULD this mean?!”. They’ve since descended into throwing Borderlands codes into the crowd and games of ‘spot Gandhi’ in Civilization screenshots, so don’t expect anything more out of them. Perhaps we’ll see a remastered version of the 2007 original to coincide with the new consoles. Or yet another return to Rapture. 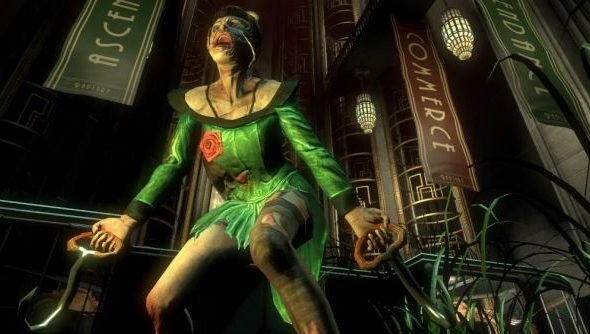 Burial at Sea’s department stores and schools were the revitalising splash the setting needed – but how long before it dries out?